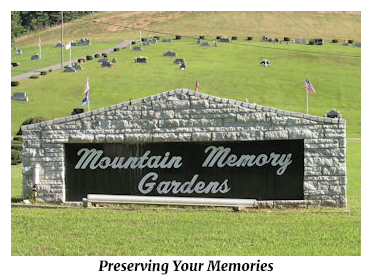 Mountain Memory Gardens is Knott County's only perpetual care Cemetery. Licensed in the state of Kentucky and governed by the laws of the Commonwealth under the Supervision and Jurisdiction of the Attorney Generals Office. 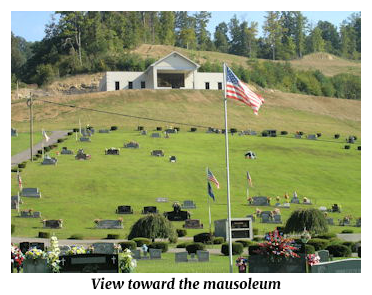 When you choose Mountain Memory Gardens you are assured a well kept cemetery that is easily accessible with a staff of qualified professionals treating you with respect and kindness. You will have peace of mind knowing that you have chosen the best.